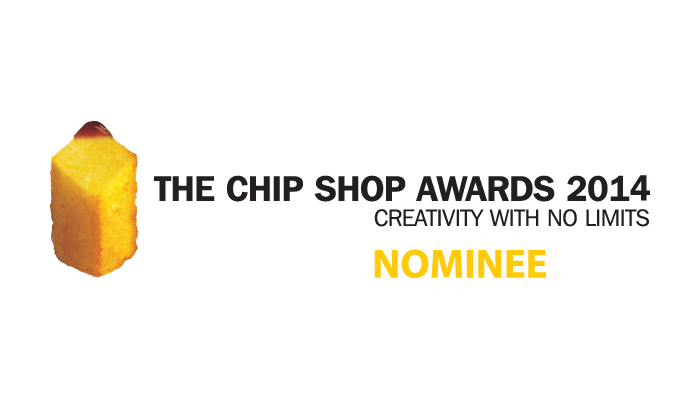 Our advert concept for the Chip Shop Awards 2014 has been nominated for the final. Next stop the prize giving in June, fingers crossed. The concept was developed by our Creative Director Anthony Looney and Lead Designer John Walsh. We are really proud of their achievement and concept.